Block.one, the blockchain infrastructure startup behind Ethereum's emerging competitor Eos, raised a record $4b in an ICO this year. It was recently revealed that both Peter Thiel and bitcoin mining behemoth Bitmain were part of the financing. 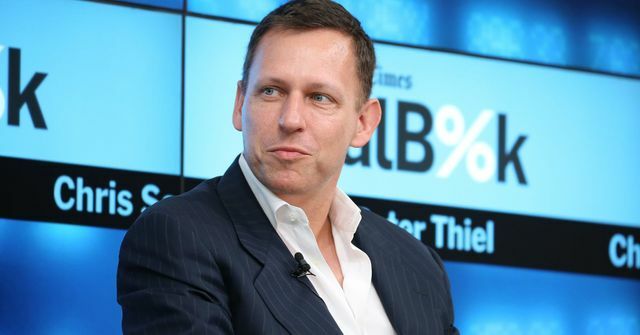 Venture capitalist Peter Thiel is placing a new bet in the crypto space. The early Facebook investor was a part of Cayman Islands start-up Block.one’s most recent funding round announced Monday. The company recently raised a record $4 billion to fund its blockchain platform EOSIO through a process known as an initial coin offering, or ICO. The fundraising more than doubled the next biggest offering of that type, and eclipsed the world's biggest initial public offerings on stock exchanges this year before its flagship product even went live.